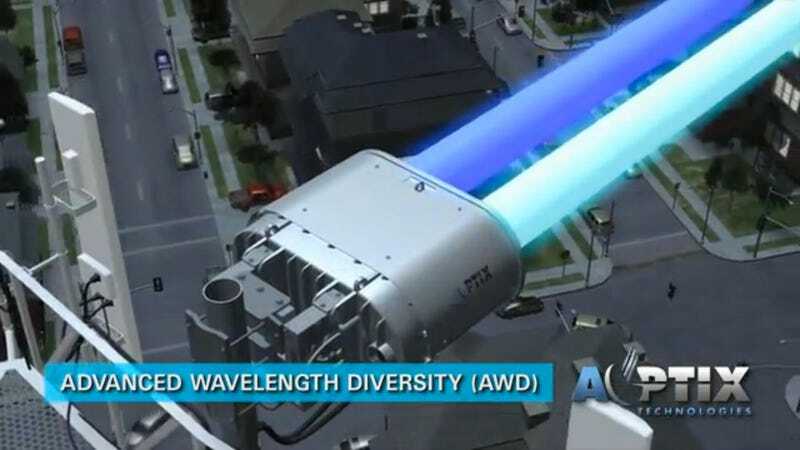 These beams are faster than fiber optics, faster than microwaves, faster even then the millimeter-waves that most high-speed traders use today. They're the last resort for companies trying to out-trade their competitors by slivers of milliseconds—a technical competition that The Wall Street Journal today describes as a "race to zero." The technology traced back to the 1990s, when two scientists designed a method to gather images from outer space that corrected for atmospheric distortions. They developed technology for telescopes with flexible mirrors that could adjust thousands of times a second. But Wall Street companies are interested in the technology too—and the word is spreading. Right now, workers are installing lasers atop tall office and residential buildings in New Jersey to link two data centers, spread 35 miles apart. Other companies plan to install similar networks.